Scientists are collecting data from observations and simulations at an ever increasing pace. In order to extract useful information from these massive datasets, they are turning to data mining techniques as an attractive solution approach. Data mining is an iterative and interactive process that consists of data pre-processing and pattern recognition. Pre-processing the raw data in order to transform it into a form suitable for pattern recognition is an important and timeconsuming first step. 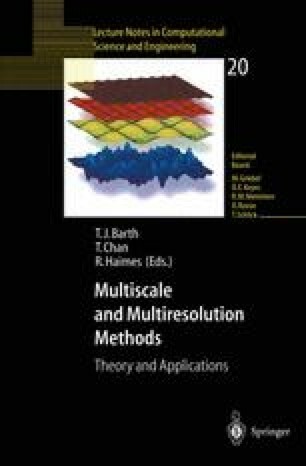 In this paper, we discuss the crucial role multiresolution techniques can play in the pre-processing of massive datasets. Using both simulated and real images, we describe our work in de-noising image data using wavelet-based multiresolution techniques. Our initial experiences show that a judicious choice of wavelet transforms, threshold selection methods, and threshold application schemes can effectively reduce the noise in the data without a significant loss of the signal.